Indigenous community leader Rang Lai Mro, who is serving a jail sentence imposed after an unfair trial, is being refused medical treatment for a serious heart condition. He is the head of a community of indigenous Mro people in the Chittagong Hill Tracts (CHT), in the south-east of the country, and is held in Chittagong District Jail. He is at risk of having a heart attack any time. He was arrested in February 2007, charged with possessing a pistol without a license. Four months later he was sentenced to 17 years' imprisonment for the offence, though his lawyers had produced evidence in court that his pistol was licensed. His lawyers have since claimed that they were not allowed to produce any witnesses at the trial. He is believed to have been targeted because, as the head of a local NGO, Mrochet, working to improve the facilities available to the Mro people in the region, he had protested to the army about the security forces' December 2006 efforts to evict hundreds of Mro families to make way for an army training centre in a remote part of the Bandarban Hill District. According to his lawyer, he had been preparing a petition for the authorities about the situation of Mro people in the area, and the army's action in driving them out of their homes. After his arrest he was severely beaten by army officers in custody at the local army headquarters, Bandarban Cantonment. This torture has never been investigated. He had to be treated in Bandarban General Hospital, where doctors found he had suffered a heart attack. He was sent back to jail without appropriate medical treatment. In October 2007 his health further deteriorated , and he had to be treated in hospital, where doctors said he needed treatment in a hospital with better equipment, but he was once more sent back to jail, without any improvement in his health.. He still has not received appropriate medical treatment for his heart condition and other medical complications, and his health continues to deterioratee. The government has transferred over a dozen prisoners needing specialist attention to well-equipped hospitals so far this year, but Rang Lai Mro has not been one of them. Some of these prisoners have even been allowed to go abroad for treatment. The present government is a caretaker administration in Bangladesh backed by the army. Army personnel have been involved in arbitrary arrests, torture and deaths in custody, but enjoy a climate of impunity. The CHT borders Myanmar and India, and is home to 13 indigenous tribes, including the Mro. 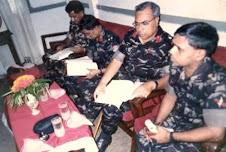 The government has been attempting to settle non-tribal Bengalis in the region since the early 1970s, which led to armed resistance in the mid-1970s. A peace accord signed in 1997 ended the armed conflict, but the CHT has remained heavily militarized. - urging the authorities to order investigation by an independent, impartial and competent body to on the torture of Rang Lai Mro and the authorities' negligence of his deteriorating health, and bring those responsible to justice. 28 Queen's Gate, London SW7 5JA. The Chittagong Hill Tracts Hill Students' Council (PCP), an organisation of indigenous Jumma students working for rights of indigenous Jumma people, is concerned with the International Religious Freedom Report 2008 on Bangladesh published by US State Department on 19 September 2008 . Bengali Muslim settlers and local government administration. 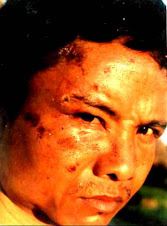 Rather, the report includes a segregated incident that says, "Members of a banned insurgent group called Shanti Bahini in Chittagong Hill Tracts (CHT) attacked Chengko Marma, a member of CLB′s community awareness team in Khagrachhari Hill District on September 6, 2007 ." In fact, there is no more "Shanti Bahini" after signing of the CHT Peace Accord. It was abolished soon after the signing of the Accord by the PCJSS. It is worth mentioning that religious persecution is common in the CHT. 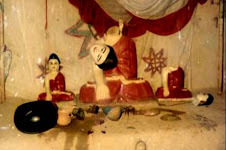 Buddhist monks are often harassed and assaulted and their places of worship come under frequent attack. For example, on 5 November 2007 Major Qamruzzaman, commander of Babuchara zone, called Sneha Moy Chakma and Santosh Jibon Chakma to his camp and ordered them not to use loudspeaker for public announcement of the Katin Chivor Danotsav, the biggest religious festival in CHT. The Major gave no reason for the whimsical embargo, but added that he would allow using loudspeakers only if they could show written permission from the Deputy Commissioner of Khagrachari district in this regard. On 13 August 2007 the Bengali Muslim settlers from cluster villages of Dighinala and adjacent upazilas in Khagrachari district directly guided by army troops from Dighinala cantonment of Khagrachari region cleared bushes and made some makeshift at Sadhana area of Babuchara. The said area covering about 300 acres of land has been inhabited by 150 families of Buddhist indigenous Jumma people and a Buddhist Meditation Center named Sadhana Tila Bana Vihar. Despites continuation of illegal Bengali settlement in Mahalchari upazila in Khagrachari district, the Upazila Nirbahi Officer (UNO) of Mahalchari Md. Abdul Matin has issued a public notice on 12 September 2007 prohibiting construction of new religious institutions without prior permission of the authorities concerned. Although the prohibitory measure is applicable to all the three major religious places of worship in CHT, it is to restrict the practice of religions other than Islam and to facilitate further expansion of illegal Bengali settlement in CHT. On 6 August 2006 a Buddhist temple of Challyatali village under Longadu upazila (sub-district) in Rangamati district was destroyed by a group of Bengali settlers from Challyatali mouza led by Rafique Uddin s/o Abdul Barek with an aim to occupy the land of indigenous Jumma people. The Jumma villagers put objection to the UNO (upazila executive officer) against Mr. Rafique Uddin and his gang, but no culprit was arrested so far. 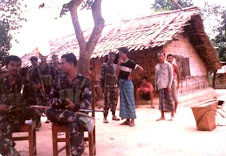 On 17 July a group of army personnel led by Captain Raihan of Shuknachari camp commander raided "Bhujuli Bhavana Kendra", a Buddhist meditation centre, situated on remote Bhujulichuk hill-top in Lakshmichari upazila under Khagrachari district, destroyed the prayer hall and took two Buddhist novices and their attendant to the camp. A group of land grabbers made an attack on the village of indigenous people to occupy a pond at Tarashe in Sirajganj. At least 20 indigenous villagers including 12 women were injured in this attack. It is learnt that a dispute regarding ownership of a pond covering around 10 acres between Grameen Bank, a micro-credit-based NGO and one non-indigenous person named Lebu is under trial at the high court. 200 families of indigenous people have been living at the banks of this pond for generations. However, on that day, Mr. Lebu incited a group of miscreants to attack the indigenous village in order to evict indigenous villagers for occupying the pond and its adjacent banks. In this attack, at least 20 villagers including Jalo, Budhan Sing, Kanti, Saneka, Behula, Simita, Dipali, Sauda, Shakha Rani, Borni, Sakumar Sing, Shashti, Subhab, Basala, Gopal were wounded. 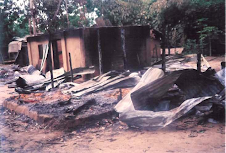 It is also alleged that the miscreants also looted the valuables of the houses. Destiny-2000, a multi-level marketing company in Bangladesh, undertaked afforestation programme for commercial purposes in Bandarban district by purchasing lands that was leased out to non-residents of CHT. It is also alleged that Destiny also occupied private lands owned by indigenous Jumma villagers. It is learnt that on 10 September 2008 local people droved out Destiny workers while they were cleaning land by setting fire with kerosene on existing forest and orchard owned by indigenous Jumma villagers at Chemi Dalupara area under Bandarban sadar upazila (sub-district). After driving out from there, they later tried to occupy the land owned by one Bengali permanent resident named A K M Jahangir. Following this incident, complain has been lodged with the headman court. Khiyang Adivasi leader Mr. Bachha Khyang, Karbari of Chemi Dalu Para Mr. Achhomong and villager of Gungurumuk Para Mr. Chinghla Khiyang said that they opposed the workers of Destiny when they came to occupy their lands. A Bengali resident Mr. Jahangir also alleged that the workers of Destiny occupied and set fire a portion of his orchard. Contractor of Destiny who is involved in afforestation confessed ablaze of a portion of Jahangir's orchard. 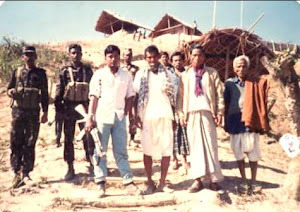 It is worth mentioning that CHT Peace Accord signed in 1997 between the government of Bangladesh and indigenous people's political party PCJSS stipulates, "Out of the lands allotted to non-tribal and non-local persons for rubber and other plantations, the lease (allocation) in respect of the lands of those who did not undertake any project during the last ten years or did not properly utilize the lands shall be cancelled." It is also mentionable that al most all the leases were not utilized. However, though eleven have passed after signing of the Accord, no allotment (lease) has yet been cancelled. The 25,000 Garo Adivasis are in eviction threath for the Nishorgo project of IRG in Modhupur Forest. The Convener of Adivasi Human Rights Association (AHRA) in the meeting of Association at Dhaka opined that the Nishorgo project at Modhupur Forest would evict the said number of Adivasis. The so-called National Park declaration of Modhupur in 1962 stopped the life, tradition and culture of Adivasis. The New project would do more harm to the Adivasis of Modhupur. The project intends to revive the National Park and evict the Adivasis, Mr. Ajoy A. Mree, Chairperson of Join Shahi Adivasi Parishad at Modhupur said. It is one of the inner agenda of Forest Department, he said. The Adivasis would not accept the so-called project as it would destroy the backbone of the locality. The elderly leader Mr. Jerome Hagidok said that 'We do not know why this type of project Government is taking here. We demand the immediate cancellation of the project. We will resist the ill initiative. If any thing happens to the poor Adivasi and locality Government and IRG will be sole responsible." The project intends to renovate the forest, one officer of IRG said, who is not willing to spell his name. Development Forest should not harm to the Adivasis, local political leader who is not willing to say his name said. The project will cover about 21 thousand acres of land in the area. The main objective is to regain the National Park and Reserved Forest. The Adivasis are living in the area from immemorial of time. Some say they are living here from 1350s. The lands are used by the Garo and Kotch by getting leased from the Jamider of Natore. But in 1927 Forest Act forbids the Adivasis to use the land which were the crucial period for them. The eco-park project also one of the eviction project which was not successful due to local movement. 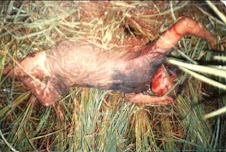 In connection to this movement and land right activities, 11 Adivasis were brutally killed by the Forest Department. Only the intention to earn some money of IRG project, Adivasi leader Mr. Anthony Sangma said. Observer says, Government plans to evict the Adivasis and maid them more insecure. In this situation there is great demand to stop this type of anti-Adivasi project. Adivasi leaders also demanded to settle the land problem permanently in Modhupur area. Speakers at a roundtable yesterday said the media should focus on the rights of indigenous people rather than only portraying their livelihoods and cultural activities. Journalists have to remain objective in reporting the ethnic issues and play a proactive role in bridging the gap between the media and ethnic communities for the betterment of the hill people, they said. Management and Resources Development Initiative (MRDI) organised the roundtable on "Bridging gap between media and ethnic communities" in Rangamati with the support from the Delegation of the European Commission to Bangladesh under the project "Bridging Media and Ethnicity", says a press release. Speaking as the chief guest, UNO of Rangamati Sadar Prakash Kanti Chowdhury said journalists would have to approach to the proper persons at the government and non-governmental levels to collect the right information and then provide them to the nation. "It is the journalists who will identify the proper persons in order to collect the right information. Reporters of specific geographical areas need special facilities for their physical movement," he said and called on MRDI to take necessary initiatives in this regard. Journalist Qurratul-Ain-Tahmina presented the keynote paper at the roundtable moderated by Shahana Huda, manager (Media & Communication) of Manusher Jonno Foundation. Hasibur Rahman, executive director of MRDI, stressed better understanding of human rights of the ethnic communities through a shared upbringing so that the media can cover appropriate and accurate news in time. The discussants also stressed the need to portray the indigenous people in the media in a proper way and promoting their human rights through objective reporting. There are so many issues concerning their rights and the media should explore these issues, they said. They also sought greater cooperation from the media in addressing the genuine needs of the hill people through detailed and investigative reporting. The journalists who were present at the roundtable said they need adequate and reliable sources of information for reporting the issues of ethnic communities. They also suggested that indigenous people should have greater representation in the media so that their issues can be properly highlighted in the media. Twenty-two community/NGO representatives, governmental officials and journalists took part in the roundtable. The ethnic minority leaders and academics at a discussion on Tuesday called upon the government to be respectful to the ethnic minority people's customary rights to land and forest resources which provide them with livelihood supports. 'They have both the spiritual and material relations with the forests, but we are not giving any recognition to them,' Sadeka Halim, a professor of sociology at Dhaka University, told the daylong workshop organised to mark the International Day of the World's Indigenous People. She urged all concerned to allow the ethnic minority people's rights to land and forest, and seek their opinion on any development plan involving the areas where they live. Presided over by Mesbah Kamal, general secretary of the Research and Development Collective, the workshop was addressed, among others, by H K S Arefin, a DU professor of anthropology, Sanjib Dran of Bangladesh Adivashi Forum, and Zannat e Ferdausi, director of the RDC. The Research and Development Collective and the Voluntary Service Overseas organised the workshop at the LGED auditorium, where Bangladesh Adivashi Forum leader, Mangal Kumar Chakma and professor Ganesh Saren presented two keynote papers on the problems related to the land and forests in Chittagong Hill Tracts and plain land respectively. 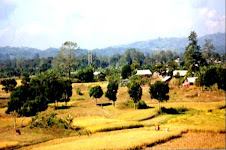 Mangal Kumar Chakma's paper showed how vulnerable the ethnic minority people were now in the hills, while Gabesh Saren narrated their sufferings while living on the plain land. They said the land of the ethnic groups was encroached upon by the influential quarters and the government and their access to the forest had shrunk with the depletion of the forest cover, declaration of new reserve forests and taking up of unsolicited development projects. Mangal Kumar said land acquisition by the government in CHT, in the name of development, had displaced many people. With the influx of the Bengali settlers in CHT in late 19970s, the problem has been aggravated. 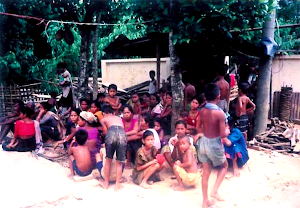 The Bengalis also ousted many ethnic minority people from their homesteads. He urged the government to make the land commission functional to settle the land related disputes in the areas. The commission has remained dysfunctional ever since it came into being after the signing of a deal between the government and the ethnic minority people in 1997. The ethnic groups living on the plain land are more helpless than the people living in the hills, said Ganesh Saren. Prof HKS Arefin of Anthropology department of Dhaka University (DU) and Prof Mesbah Kamal of History department have been elected president and general secretary of Bangladesh Adivasi Odhikar Andolan (BAOA). The election was held at its general meeting at Teachers Students Centre (TSC) auditorium on Thursday, says a press release. Other office-bearers are vice presidents -- language movement veteran U Suwe Rakhain, journalist Sohrab Hasan, tribal leader Nirola Tonsong and Sarwar-e-Kamal Swapan; joint secretaries -- Jannat-E-Ferdousi and Karina Hasda, organising secretary -- Rakhi Mrong, international affairs secretary -- Sohel Hajong, publicity secretary -- Joyanta Acharya, office and communication secretary -- Mazharul Islam, information and research secretary -- journalist Nazrul Kabir, cultural secretary -- journalist Soumitra Deb, education secretary -- Hiron Mitra Chakma, seminar secretary -- Pari Chingtham, finance secretary -- Manhura Begum and law secretary -- Dilara Rekha. Indigenous leaders at a meeting yesterday called on the government to give constitutional rights to the indigenous people and take steps for an end to encroachment on their lands. Bangladesh Adivasi Union (BAU) organised the meeting at Mukti Bhaban in the city's Purana Paltan area. Indigenous leaders from Patuakhali, Bandarban, Netrokona, Bogra, Sirajganj, Jamalpur, Cox's Bazar and Dinajpur took part in the programme. They said there is no alternative to establish a repression-free society in order to establish rights of the indigenous people, adding that they are fighting to get their constitutional rights for long. The leaders also urged the government to protect their culture and heritage, including their traditional language, and ensure their right to land. They called for a united effort to resist all kinds of repression against them. The indigenous leaders at the meeting were critical of influential people who grabbed their land taking the advantage of their poverty and illiteracy. Presided over by BAU Convener Rebeka Soren, the meeting was addressed by Khiroti Rani, Pavel Coch, Rupchand Barman, Binoy Majhi and Amin Kujur. Leaders of the ethnic minority communities, from both hill and plan land, of different districts on Friday called on the government to take necessary steps to stop occupation of land of the people in their areas. They also urged the government to take initiative to introduce primary education system of the ethnic minority communities in their mother languages, saying that the ethnic minority people should be given their constitutional recognition. The call came from an extended meeting of the Bangladesh Adivasi Union, held at Mukti Bhaban at Purana Paltan in Dhaka. Chaired by Rebeka Soren, convener of the union, the meeting was also addressed, among others, by Woo Soo Rey of Patuakhali, Kasa Mong of Bandarban, Amin Kujur of Naogaon, Khagendra Hajong of Netrakona, Emil Hajda of Dinajpur, Thirati Rani of Chapainawabganj, Srimati Moormo of Phulbhari and Dhirendra Nath Mahato of Bogra. The land of the indigenous people was being encroached upon in various ways. This malpractice must be stopped, he said. The land and homesteads of the indigenous people were being occupied indiscriminately by the influential quarters across the country, the speakers said, and called upon the ethnic groups to forge a unity to realise their demands. They also demanded introduction of a permanent rationing system for them and exemplary punishment for the killers of Alfred Soren, Satyaban Hajong, Piren Snan, Kalpona Chakma and other indigenous people. UNPO calls for the effective implementation of the 1997 CHT Peace Afford and devolution to Jumma authorities. "undertake a universal periodic review, based on objective and reliable information, of the fulfillment by each State of its human rights obligations and commitments in a manner which ensures universality of coverage and equal treatment with respect to all States; the review shall be a cooperative mechanism, based on an interactive dialogue, with the full involvement of the country concerned and with consideration given to its capacity-building needs; such a mechanism shall complement and not duplicate the work of treaty bodies. " Submissions are invited from the member state under review, civil society, nongovernmental organizations, and relevant stakeholders. The resulting reports is subsequently examined by a UPR Working Group. States under review and relevant stakeholders are then invited to respond to any questions or issues that may have arisen. The outcome of the working group and subsequent presentations is the adopted by the plenary. Ongoing religiously and politically-motivated violence faced by Jumma groups.